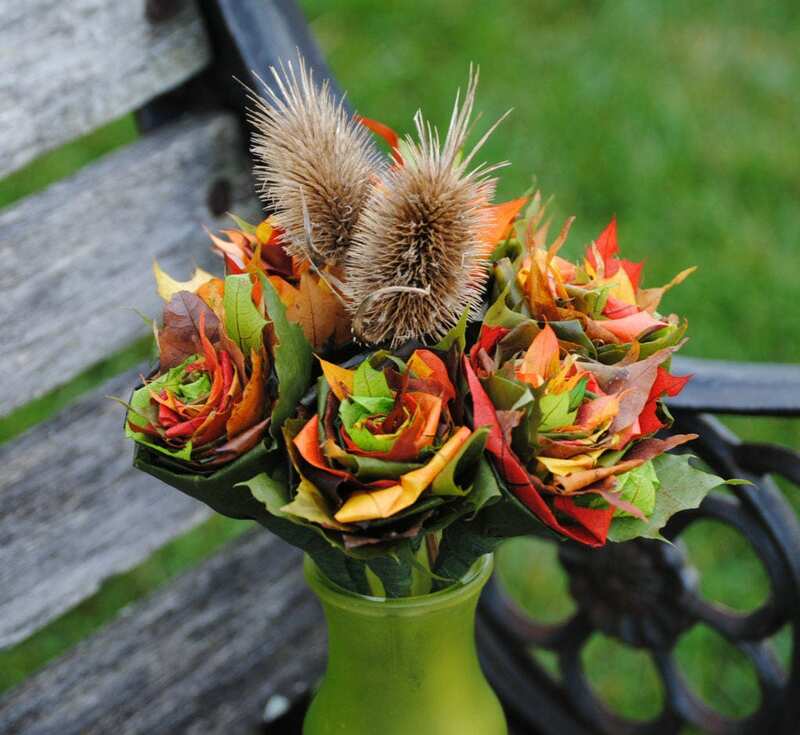 This wonderful fall bouquet is made from real fall maple leaves! It contains 12 roses and two sticks of Michigan teasel. 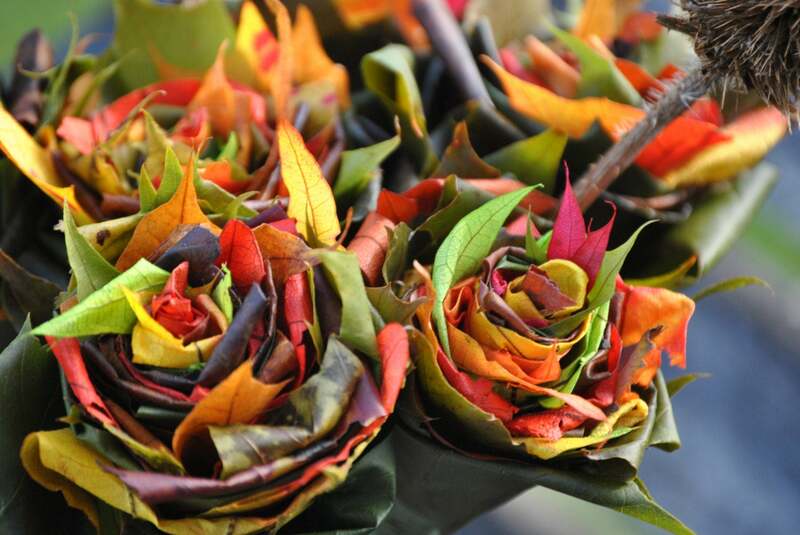 The flowers have all the wonderful colors of autumn! Reds, oranges, yellows, and greens, with a little brown. I preserved the leaves before I make the flowers. They will retain their shape and color, will stay totally soft, and will not turn brown or fall apart!!! The flowers are 2"-3" across. Allow a few days for production. 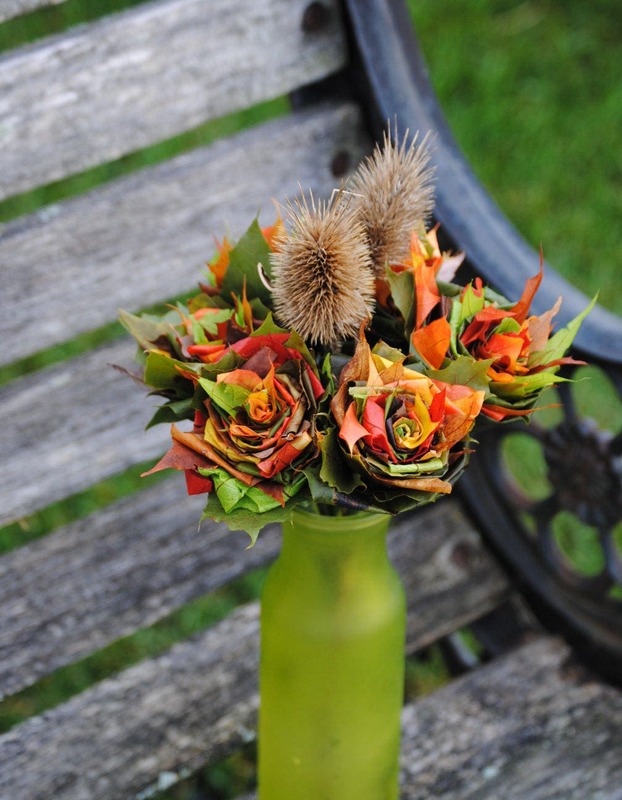 All bouquets will be very similar to the one in the photo. 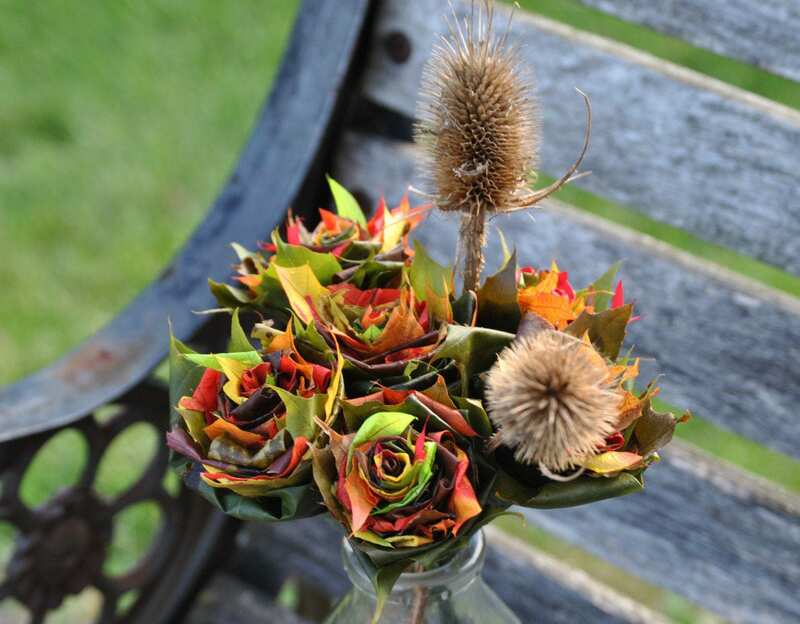 THIS LISTING IS FOR 12 ROSES AND 2 TEASEL. See my store for smaller amounts. 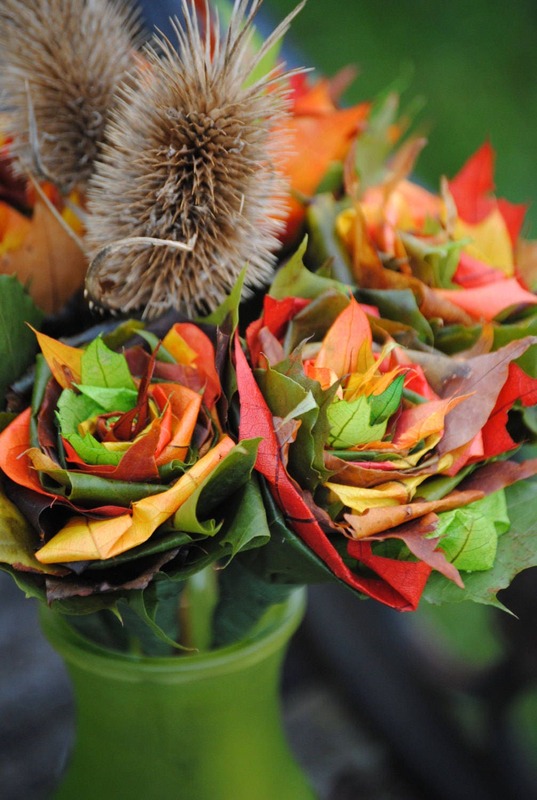 These would be perfect for fall, Halloween, or Thanksgiving décor! They also look good year round, anywhere in your house. Bring a little touch of autumn into your home.